Turn Elvis DAM into a full-fledged production cockpit now! 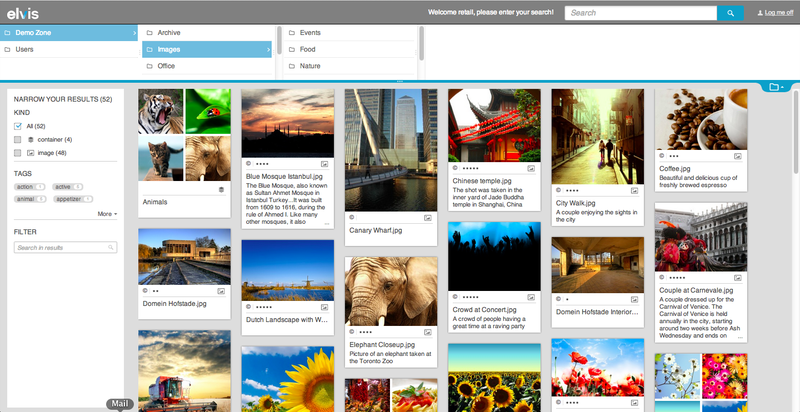 Elvis DAM is the newest generation of Digital Asset Management Software for brands, publishers and creatives. Elvis DAM offers far more than standard image databases or imaging servers and fulfills our customers current requirements to the maximum. Handle huge data volumes easily and securely. Comfortably distribute and mutually use, comment and release data. During the development of Elvis DAM, great emphasis was placed upon efficiency, security and connectivity. Test the full version for free! Take advantage of our nonbinding offer and get to know all of the functions available in the current version of Elvis DAM. Upon request, you’ll receive a free introduction to your test version. Simple distribution of data, mutual web-based releae of assets, creation and administration of collections. Quickly find files, smoothly collaborate with externals and while versioning documents. 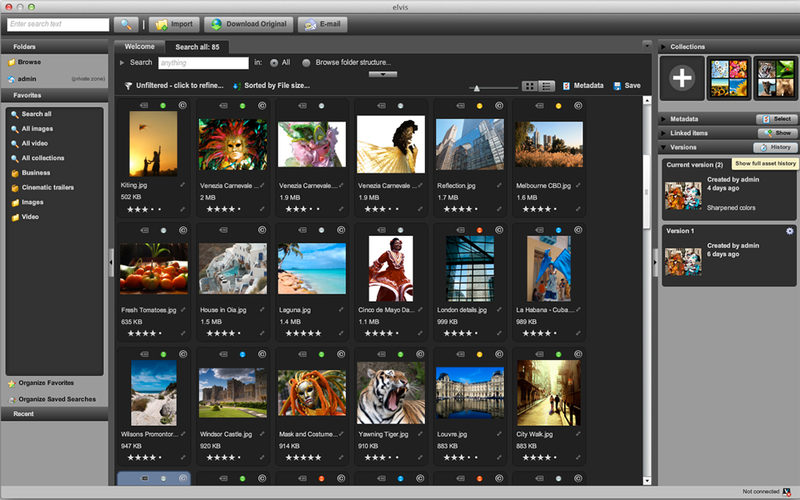 Conscise presentation of large volumes of data, drag and drop in layout programs, export contents for various media. As the Gold Partner for Germany, Austria and Switzerland, we are in continous, close contact and exchange with WoodWing (the Manufacturer of Elvis DAM). 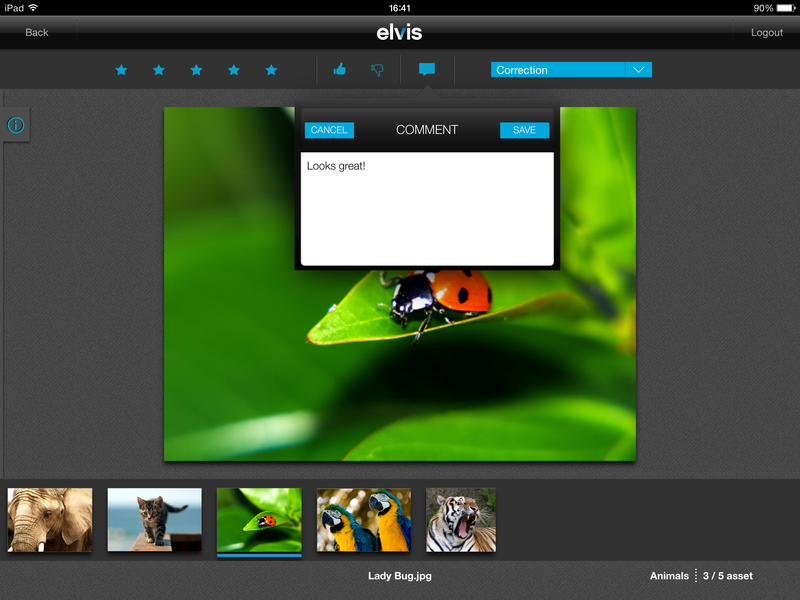 “Elvis DAM was immediately accepted by our users. The cataloging and managing of files is now much easier and faster. With its additional features, the new DAM system is very promising when it comes to further improve the process management. Our content is now highly available at all times. “From it´s launch, 3f8h.net competently looked after the project and is supporting us as a contact at any time. During the implementation phase, 3f8h.net responded very quickly to the small issues that occurred, making sure, the production-critical systems were available at all times. The Elvis system perfectly supports our cross-media approach. In addition, it optimized and simplified the collaboration with our external image suppliers”. www.elvisdam-plus.de is a product of 3f8h.net / electronic publishing. You’ll find our legal information here.